Purchase the $10 preferred customer membership. 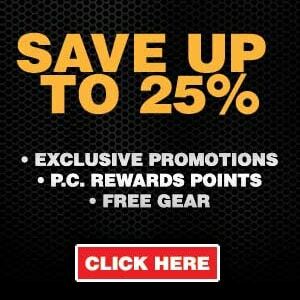 Good for 6 months and get all your Amsoil products at Dealer cost saving you 25%…shipped to your doorstep in 2-3 business days. You get to “try the products out” at no risk to you. But wait…there’s more…save an additional 30 to 40 cents per quart on top of Dealer cost! See below. Shipping is Free whenever you order $100 of product! You save $15.30 on a single order! 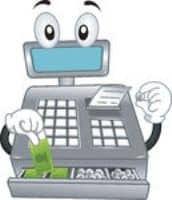 Retail sales tax will be added to your order (your county sales tax rate). Plus, if you decide to order Amsoil for your second vehicle a couple months later the membership fee covers any other orders you place for up to 6 months. So on your next order you’d save over $24! You can also sign up as a Preferred Customer for 1 year for $20 (Canada $30). When the 6 months trial membership expires, the membership fee is $20 (Canada $30) per year should you decide to continue using the Amsoil products. Another Tip – Sign Up For Auto Renewal: Whenever you sign up as a Preferred Customer $20 (Canada $30) and your 6-month or 1-year enrollment period is up you have the option for auto-renewal at $16 (Canada $25) giving you a $4 and $5 discount. 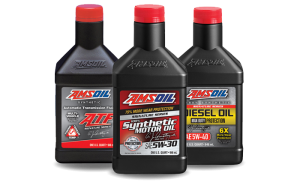 Before you even have a membership you can see the wholesale prices on the Amsoil website. To switch from retail to wholesale prices, all you need to do is add the Preferred Customer Membership to your cart and the prices will automatically be updated to the Wholesale prices at the 25% discounted rate. Simply, add a Preferred Customer Membership (6 months or 1 year) to your cart by clicking the “Join Now” button, then “add it to your cart”, then click “Start Shopping”. Purchase 12 Quarts & Save Even More! But wait, there’s more! You can save an additional 30 – 40 cents off each quart of oil if you purchase 12 quarts at a time. Before adding the item to the cart, look for “Unit of Measure”, where it says “Each”, click the drop-down arrow, and choose “Case of 12“. Your cost per quart dropped an additional 30 – 40 cents per quart! Now that’s what I call a “Thousand Pound Dog”… that’s a big deal! Order your oil and oil filters easily by looking up your vehicle, and shop by your vehicle’s make and model. Amsoil synthetic Motorcycle Oil lookup. Sign up as a Dealer: $50 (Canada $65) and a year later when you are ready to renew, you have the option for auto-renewal $40 (Canada $50). Monday – Friday 8 am – 5 pm CST. Thank you for using my ID#516778 when ordering. If you want to tap into my Million Miles of experience here’s my number (937) 417-1127. I’ll be glad to help you match up the correct oil and filters for your vehicle or equipment. If you get my voicemail, leave your name and phone number and I’ll call you back asap. PS…If you have a vehicle with over 50,000 miles on it (gasoline or diesel)…I STRONGLY suggest using Amsoil’s Engine Flush. When you’re ready to change you oil…if you’re a DIY…Simply pour one bottle into the engine oil filler opening for gasoline engines…two bottles for diesel engines and let idle for 15 minutes. Do not run down the highway. Drain the oil and remove the oil filter and add the new. For those taking their vehicle to a local dealership or shop…drive to the location 15 minutes before your appointment. Park in the parking lot…pop the hood and pour the engine flush into the engine oil filler opening and let idle for 15 minutes. Have the technician drain the oil and remove the old oil filter and install your Amsoil synthetic oil and Oil Filter.